5G technologies will enable digitalization of industries such as energy and utilities, public safety, and manufacturing. Operators in the United Arab Emirates (UAE) who leverage 5G-IoT use cases to tap the full business potential of industry digitalization can benefit from revenues of USD 3.3 billion in 2026, according to a new Ericsson (NASDAQ:ERIC) report. In 'The guide to capturing the 5G industry digitalization business potential - a sequel to the '5G Business Potential report, Ericsson lists 10 industries that will drive growth in addressable revenues from digitalization. These include agriculture, manufacturing, energy and utilities, public safety, healthcare, public transport, media and entertainment, automotive, financial services and retail. Globally, this growth will equate to an anticipated USD 619 billion revenue opportunity by 2026. To capture new market opportunities, operators must be highly competitive within industry digitalization. The report unveiled that the shift from connectivity provider, to service enabler and now service creator is a stark one. By 2026, estimated potential revenue increase is predicted to range from USD 1.1 billion for a network developer to USD 3.3 billion should an operator in the UAE adapt its business model to become a service enabler and creator. To enable this shift, operators should consider how to cost-efficiently deploy a high number of use cases, identify what roles to take in the ecosystem or value chain, as well as the relevant go-to-market models. The cluster approach is important for sharing risk and reward across use cases and industries. The least challenging clusters to address include monitoring and tracking, hazard and maintenance sensing, and connected vehicle. Other clusters such as real-time automation have large revenue potential but higher barriers to entry. The decision on which cluster to target should be based on operators' current capabilities and strategic ambitions. In the UAE, the industry growth potential is being driven by the digitalization of the manufacturing sector contributing to 18 percent of the potential revenues by 2026. This is followed by 16 percent in energy and utilities, and 12.5 percent in public safety by end of the same period. Examining individual use case clusters, UAE operators will see the most revenue potential from real-time automation, which offer a potential of USD 530 million by 2026. In fact, real-time automation will experience rapid adoption, at 133 percent in the next 6 years (CAGR 130 percent, 2020 to 2024). Thereafter, Ericsson's report forecasts slower but steady growth at 21 percent by 2026 (CAGR 19 percent, 2024 to 2026). Other revenue potential will come from enhanced video services at USD 510 million and monitoring and tracking at USD 380 million. 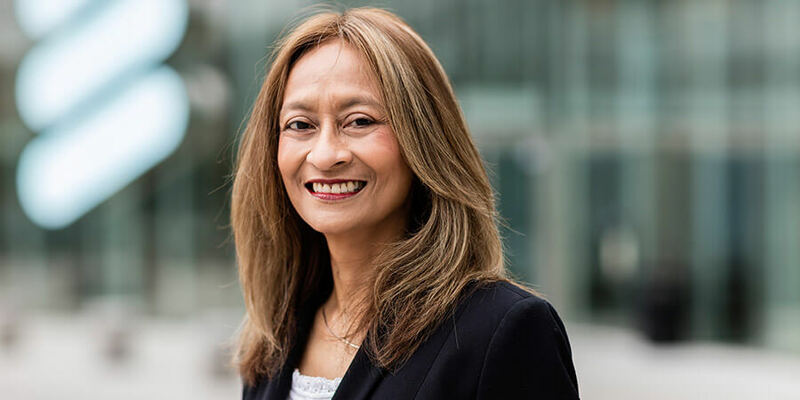 Rafiah Ibrahim, Head of Ericsson Middle East and Africa, says: "Digital transformation is taking place in almost every industry, disrupting and creating new business models. 5G is an enabler of this transformation. In the Middle East and Africa region, we have already implemented an expanded platform to deliver more efficient network performance and improved network capabilities. "This is enabling service providers to capture opportunities from digitization of industries and from emerging use cases while addressing the explosive traffic growth expected in the 5G evolution." Legacy business models and operational structures will have to evolve to survive in a 5G-IoT world. Detailed real-life operator IoT initiatives, describing monetization structure and business models, show how they can be evolved to 5G and harness maximum industry digitalization opportunities.